Wireless gas sensor, gas collector and wireless transmission are capable of saving or restoring data, supporting mobile phone WiFi onsite debugging, and is characterized by explosion prevention, low power consumption, high precision, strong stability and long service life. 433MHZ, 2.4GHZ and other wireless transmission modes are optional. Gas alarm is an alarm to detect the gas leakage. 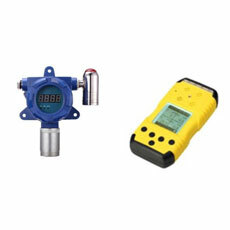 When the flammable or toxic gas is leaked into the industrial environment, and the gas detector detects that the gas concentration reaches the clinical point set by the explosion or poisoning alarm, the alarm will give out an alarm signal as a remind of taking feasible safety measures. Meanwhile, the drainage, cutoff and spray system will be driven to prevent explosion, fire disasters, and poisoning, and safety production safety. The fixed gas alarm for the industrial use is made up of the alarm controller and detector. The controller can be put in the duty room, which can monitor different monitoring points. The detector is installed at places where gas is easy to leak out. The core part is the inbuilt gas sensor, which can be used to detect the gas concentration in the air. The gas alarm can be divided into the gas alarm for home use and the gas alarm for industrial use. The former is mainly intended for detection of the formaldehyde concentration, gas leakage, and natural gas leakage; while the former is mainly used to detect the nitrogen, NO2 and other hazardous industrial gases. Generally, the gas sensor is defined as a tool which is based on the detection target. In other words, any sensor which is used to detect the gas component and sensor can be called a gas sensor, either using the physical method or the chemical method. For example, the sensor used to detect the gas flow cannot be regarded as a gas sensor, while the thermal-conductance gas analyzer is an important gas sensor, though different thermal-conductance gas analyzers might follow generally the same detection principle. Gas detector is an instrument which is used to detect the gas concentration. Instruments of the kind are suitable to be installed in inflammable places or other dangerous places with toxic gases, which can continuously detect the content of lower explosive limit of gases in the air. So far, gas detector has found wide applications in various industries, including fuel gases, petroleum and chemistry, metallurgy, steel and iron, coking and electricity. It is an ideal detector which can safeguard property and personal safety. The gas detector adopts the high-temperature-resistant catalytic combustion formula and the electric chemical gas sensor. 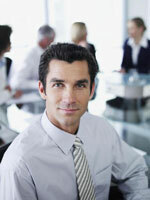 The product has a high sensitivity and fast response. With an aluminum die casting shell, the product has a high explosion grade and is easy to install. The gas detector can be used to detect combustible gases, including natural gas (methane), liquefied gases (iso-butane and dimethyl-methane), coal (hydrogen), acetylene, pentane, alkyne, alkene, alcohol, acetone, alcohol, light oil, hydrocarbon, and multiple other liquid steam. The toxic gases include carbon monoxide, hydrogen sulfide, ammonia, chlorine, oxygen, phosphine, sulfur dioxide, hydrogen chloride, chlorine dioxide, etc.